Creating a personal oasis in your own backyard is easier than it sounds. Simply choose the lawn ornaments and yard decorations that match your existing style to create a finished look and feel. 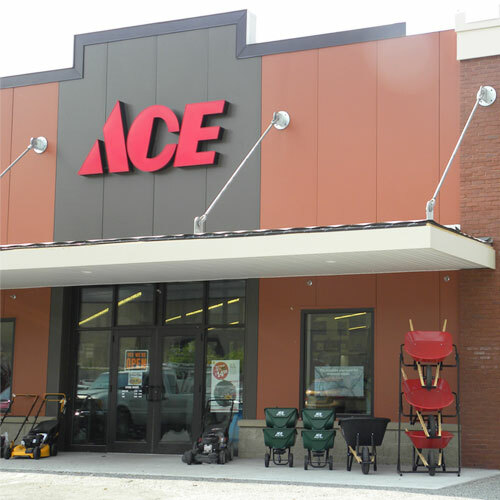 Ace Hardware's incredible collection of outdoor décor includes everything you need to enhance curb appeal. Find simple, elegant, classic and modern lawn decorations to add personality to your yard and garden area with ease. As you shop, utilize the tool down the left side of the page to narrow your search by brand, price range, use and more. Make your yard stand out with eye-catching style by decorating with fun, festive lawn ornaments. Tell a story with magical lawn statues like angels and animal figurines, or add fun and whimsy with large windmills. Our selection of windmills provides a point of elevation to your space, providing a beautiful overall aesthetic for you and your guests. Then, add more visual appeal to your lawn with easy-to-install solar spinners and cute bird baths. When you're done shopping, your yard will be transformed into the perfect tranquil area or festive entertaining space. Yard decorations aren't just stylish – they can be functional, too. Owl figurines help to scare away rodents, birds and other garden pests, all while adding style to your yard or patio. Consider placing one near a vegetable or herb garden to increase your yield. Keep other nuisances out of your gorgeous garden with the help of an artificial garden snake. These inflatable lawn decorations help deter birds from nesting in your trees and rabbits from nibbling on your greens, keeping your garden looking pristine all year long. Extend the hours you can use your outdoor space with stylish outdoor lighting solutions. Drape outdoor string lights along a pergola or roofline to add romantic illumination to your outdoor space. For entertaining, place a few garden torches around the seating area. They help keep mosquitos away, define a perimeter and provide additional light to keep the party going all night. With so many yard decorations to choose from, Ace Hardware makes it easy to find the right decorations for your style. Turn your yard into a personal oasis with calming bird baths and lawn figurines, or add festive decorations to provide a warm, welcoming place to entertain friends and family. Shop our collection of yard decorations to complete your deck, patio, garden, front lawn or outdoor space with style.